J&A performed boundary and topographic surveying for a 12.8 mile long corridor study along U.S. Highway 72 for use in the roadway design to divide the existing four lanes by adding a grassed median and turn lanes. This project included 15 miles of traverse for control along the main corridor as well as an additional 5 miles of traverse for section ties. Additionally, level runs were performed between all main line traverse control points and benchmarks, and BM’s placed at 1000 foot intervals along the length of the main corridor. 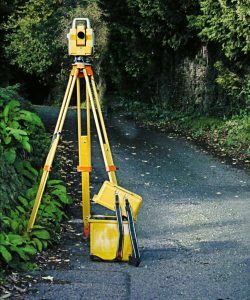 J&A performed a boundary and topographic survey of 160 acre farm to be developed into a residential subdivision. This survey required GPS control and a four mile section traverse to meet the Technical Standards for surveys in Alabama. Additional tasks included stream cross-sections for a flood study, and CAD services for production of boundary and topographic maps. 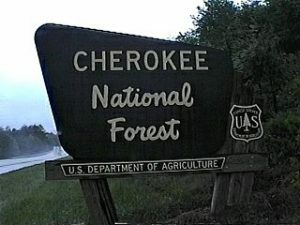 J&A provided cadastral surveys for the U. S. Forest Service in both the Cherokee National Forest and Talladega National Forest, all in accordance with the Standards of Practice for Land Surveying in the State of Alabama. These surveys consisted of establishing 44 miles of new boundaries for property acquisition and disposal together with setting 150 new monuments. In addition, J&A performed maintenance on 45 miles of existing boundary lines and 193 existing monuments in accordance with the USFS guidelines for repainting, adding signs, clearing lines, updating corner cards, etc. 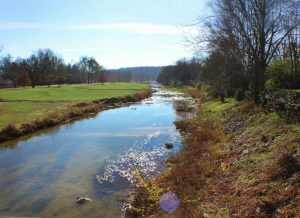 J&A was teamed up with AMEC to conduct a Stormwater Management Master Plan for the 21 square mile Aldridge Creek watershed in southeast Huntsville, Alabama. J&A surveyed stream cross sections at 100-foot intervals for 30 miles of the main channel and 17 main tributaries. We also inventoried hundreds of storm structures within the basin, and located, documented, sized and measured all bridges, culverts and pipes along the main channel and tributaries. Additionally, J&A surveyed and prepared approx. 1100 flood elevation certificates of all building structures within or near the current floodplain for use by the City and homeowners for flood insurance purposes.